Fort Myers is pleasantly located on the Southwest coast of Florida. 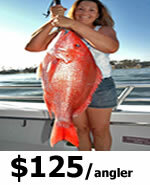 You can experience a wide variety of fishing including freshwater, inshore and offshore. Our Fort Myers Boat Charters has everything you need to escape along this beautiful coast. Hop on board a fishing charter of a lifetime, perfect for the whole family. 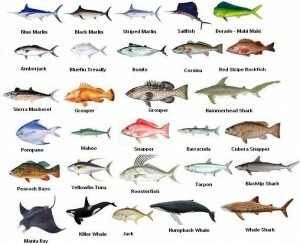 Saltwater Fishing is the dominant outdoor activity when visiting Fort Myers. Our Fort Myers Boat Charters are equipped with highly professional and knowledgeable Captains that know these waters very well. They are ready to teach the inexperienced anglers or experienced anglers how to catch or improve their fishing for sailfish, dolphin, kingfish, grouper or snapper. 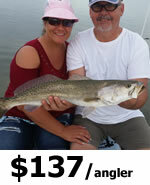 You can also explore the inshore fishing in search for Snook, Tarpon, Trout or Redfish. 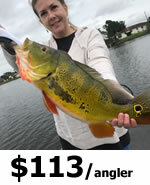 Don’t count out the opportunities to catch a Florida largemouth or the exotic peacock bass in the freshwater systems near Fort Myers whether on the Golden Gate Canal System or the World-Renown Lake Okeechobee. Don’t miss out on the Fishing Adventure of a lifetime while exploring Fort Myers. Our local expert Captains will show you the way to catching the species and fish of your dreams on a Fort Myers Boat Charters! Search iOutdoor, Compare & Book the Best Fort Myers Boat Charters Today. These guys work hard to get you on fish! If you don’t see the email confirmation in your Inbox, check your Spam or Junk Mail folder. You should also try performing a search in your email account for the phrase: iOutdoor.com. If you still can’t find the email, contact us +1 (888) 412-1117 and we will resend the confirmation. Our charter boats are labeled with iOutdoor logos, you will also have the captain’s cell phone on your itinerary if you can’t find the boat. You will always generally want to meet down by the boat ramps unless otherwise told by captain. It depends on the customer and type of charter. If passengers wish to take a break, we can stop at scenic areas to stop take pictures, use restrooms or get a bite to eat when available. The charter time is yours, you book for 6 hours and want to fish for three hours and sightsee for 3 hours, that’s okay with us. We do ask that you communicate that with the captain, they are fishing captains and focused on catching you fish, so that’s what they do unless you advise otherwise. Sunglasses, Hat, Jacket, Wear layers, there’s plenty of storage. Cell phone or camera, on trips that permit harvest a cooler to take your catch home is important. In Florida it is not uncommon for it to rain on one side of the street and not the other…really. Also can down poor and 10 minutes later be beautiful outside. When it comes to weather reports, no one is more predictable than your captain. He has radar and every weather app made as they deal with this all the time. DON’T follow the local weather as the true forecast. Your captain will make the call with your safety in mind, remember if the charter is cancelled due to whether there is no charge. No, we do not offer courtesy pick-up and drop-off service from hotels as we are pulling the boats and most places we can not turn around. It’s most convenient to use Uber or Lyft car service. In layers is best, but fishing is casual. A sundress for ladies with bikini underneath is not uncommon. Khaki shorts for guys is as dressed up as anyone ever gets, long pants work if you’re not use to the sun. In the same vein, there are no “styles.” Get comfortable with whatever dress code is norm. But always try to wear light colors as they are cooler. Some do, all the inshore and freshwater charters DO NOT have air condition. Some of these boats do have T-tops or cover, others have no cover. Many of Offshore sportfishing deepsea charters do have air conditioning, although not all. So it’s important to ask prior to your departure. No, our office is not open to the public. It is strictly a call center, our aim is to give you the best possible prices so it helps. We don’t have an expensive office, so we can pass on these savings to you. 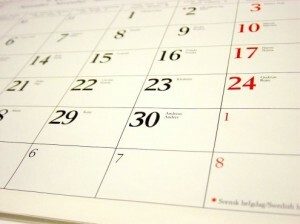 However, we are available (7 days a week) from 7:00 AM to 8:00 PM to discuss your fishing charter. To speak with us, call our Reservation department at (954) 771-3682! Or you can complete our email form and one of our representatives will contact you. Most likely, but if they don’t have our contact please connect them with us and we will get them involved for your convenience. Space is almost always limited, therefore, we have a limited amount of last minute charters. You can call us from your hotel +1 (954) 771-3682 , but your hotel will need to make a deposit for a reservation for you. The two main languages that are spoken are English and Spanish. But it’s not uncommon to use translators which captains have on cell phones! Species: Bass Fishing species including peacock bass and largemouth bass can be caught year round on Fort Myers Boat Charters! Call us at +1 (888) 412-1117 and let’s start planning your Fort Myers Boat Charters! For additional Fort Myers information be sure to go to Visit Fort Myers.